Over the last few years more games franchises that have long since been forgotten are finding new life through crowdfunding sites. Games like Shadow Run Returns brought an all time classic back from the grave to some positive reception. But there are times when the results aren’t what we expect, like in the case of The Mighty Number 9. It tried to scratch the nostalgia itch (keyword is TRIED) for fans of Megaman, but it failed to deliver on promises. Whether a game becomes a hit or miss, I’m all for crowdfunding when it gives a forgotten franchise the chance to shine again. The return that I’ve been most excited about is MUTANT LEAGUE FOOTBALL! 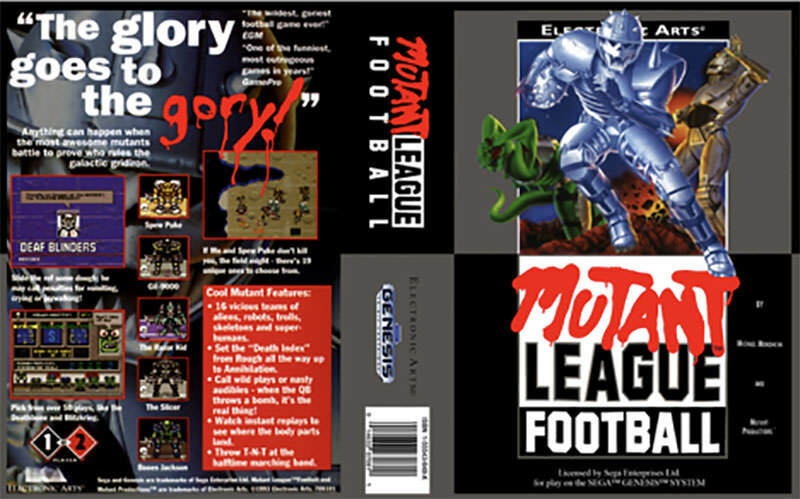 For the unaware, Mutant League Football was an arcade style football game for the Sega Genesis that was built on the Madden Engine. But it was as far from the Madden games as you could get, while still being called football. The teams were compromised of mutants (of course), robots, and aliens, that battled it out on the gridiron. Winning a game wasn’t as simple as just scoring more points than the other team. There were hazards all over the field, you could do trick plays that would literally destroy opponents, pay off the referees, and even make the other team forfeit if you decimated their roster enough! It was an extremely addictive and funny take on American football. The spiritual successor “Mutant Football League” (slightly different name) hopes to achieve all that its predecessor did and more! Not only will the game have all the things people love about the original, there will be all new teams, more trick plays and they even upped the ante on the brutality! New power ups like chainsaws, will have you literally slicing and dicing through defenses! There is gore galore and I’m happy to see that they have included local multiplayer, a feature that has been dying for years. The crew putting the game together looks to be striving to make something that will please the fans of the original, rather than a cash grab, and thankfully the humor that the first game is know for seems to be intact as well. Some of the games All Star players have been named after real life football stars. Names like “Throb Bronkowski,” “The Sherminator,” and “Hambonio Crown,” sound like certain NFL stars that you may have heard of. The Kickstarter has more than doubled the funding goal of $60,000, and the project has also met nearly all of its stretch goals at the time of writing this. You can visit the Kickstarter to see what it’s all about at this link: https://www.kickstarter.com/projects/mendheim/mutant-football-league-mfl The development team hopes to release for PC by October of this year, and for Playstation 4 and Xbox One at the start of 2018. 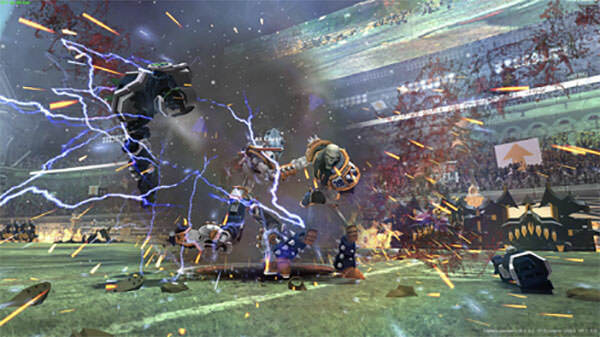 Are you happy to see Mutant Football League take over where its processor left off? And what are some retro revivals that you love or ones that your are looking forward to? Sound off in the comments below! Sure I remember playing Mutant League Football & Hockey back in the day. A friend of mine had these games on his genesis. Gosh it’s been years since I played them.